The primary goal of franchise SEO is visibility. If the correct steps are taken, your franchise locations will rank well in Google for branded and non-branded search terms. This visibility translates into website traffic, and that website traffic translates into an increased number of online sales, more foot traffic to each franchise location, and other valuable metrics. The problem is that franchise SEO is quite complicated – and it can’t be left up to the whims of each individual franchisee owner. Google prefers fluency across every franchisee page, so the franchise owner must handle search engine optimization to ensure success. Month to month, the franchise owner must coordinate with franchisees in their ongoing SEO efforts, too. This is the franchise owner’s quick guide to franchise SEO. You will learn the fundamentals, how it’s done, and how to choose a SEO firm to take the work off your plate. Think of franchise SEO like you do your other franchise marketing efforts. Marketing from franchise owners usually focuses on branding to help every franchise location equally. Search engine optimization is the same. The goal is to improve the search rankings of your entire site so that every single franchise location page ranks high in Google for local and non-local search terms. More tangibly, the goal of franchise SEO is some sort of defined metric that gauges effectiveness. For example, if you own a restaurant franchise and online orders are common, you may track how search traffic affects frequency of orders. Other physical retailers may track call volume or some other metric that translates into an increase in revenue. As you run your campaign, you will be able to compare your increased search rankings and web traffic to your more tangible metric. This way, you can gauge how well your campaign is performing. If it’s effective, you may decide to invest more into SEO marketing – this is very common. If you see no noticeable increase in your tangible metric, you may shift your focus to sales optimization, or you may decide to put SEO on hold and focus on other marketing efforts. 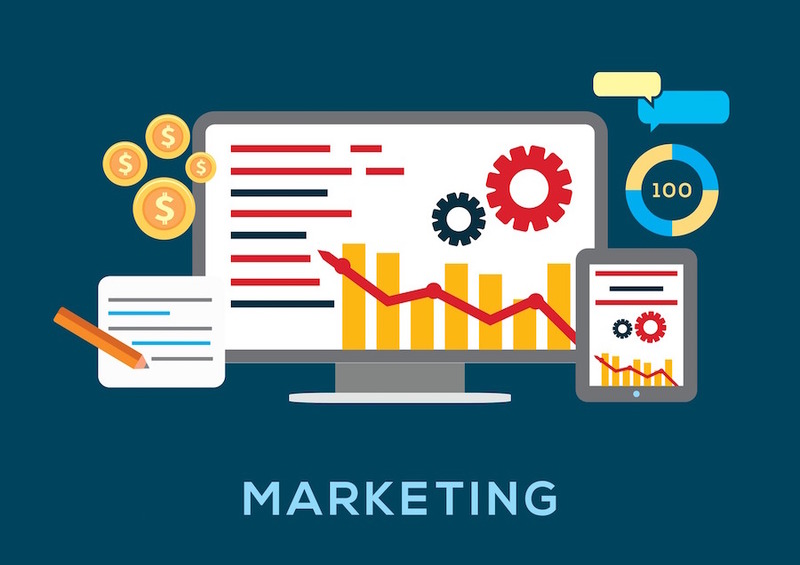 But, for 99% of franchise owners, as long as you can define a tangible metric to pursue, SEO marketing is a wise marketing decision that can have a big impact on sales across the board. Decide on a tangible metric and continue on. If you follow ordinary SEO advice for a franchise website, you will not see results. There are many differences between the two. The first step in any franchise SEO campaign is fixing your existing web infrastructure. The point of creating a strong online infrastructure in the eyes of Google is twofold. Often times, cleaning up what you already have is enough to improve your rankings substantially. But, it’s easier said than done – if you built your website without search engine optimization in mind, you may need to do quite a bit before you see the light of day in the search engine rankings. An experienced franchise SEO firm will be able to help you pinpoint and fix errors in your infrastructure. Franchise SEO does not stop after the infrastructure is fixed, though. Franchise SEO is ongoing. At this point, you have a functional website that Google can recognize easily. The next step is creating an actionable SEO campaign for every one of your franchise locations, and either handling it yourself, or giving instructions to franchisee owners on how it should be done. Continuing to build on your infrastructure can help you secure the top spots on the first page of Google for each of your franchise locations. If you look at a site like Yelp, they tend to rank for franchise-related search terms almost always because of their flawless infrastructure and focus on additional search engine optimization practices. Believe it or not, if you take the required steps, you can be as influential in the search engines as Yelp is. Business directory listings. Make sure each franchise location is listed with complete information in every local and national directory (such as Yelp, TripAdvisor, and other local alternatives). Content creation. Blog posts and store updates should be published on a consistent basis. The franchise should aim to increase its web presence by getting links published on authoritative sites, too. Social media presence. Each location should have its own social media feeds. With a strong infrastructure and a coherent monthly SEO strategy for every franchisee location, your entire franchise will benefit. But it’s a lot of work. And you may not have the time, or the want, to understand and execute the strategy on your own. That’s why most franchise owners turn to a reputable franchise SEO firm. You must make sure you are working with a SEO firm that understands the needs of franchises. They should have track records of success working with other franchises. You don’t want to be the testing ground for an inexperienced firm. You should also look for a firm that understands the business needs of a franchise owner. You likely want results, but without any hands-on effort – you have enough on your plate. A good franchise SEO firm will be able to handle everything from A to Z once you give them what they need to get started. And, they will be able to explain everything to you in an easy-to-understand way so that you understand what you are paying for and what you should expect. SearchAdvisor is the SEO firm that understands the mind of a franchise owner and has a track record of success with other franchises. Come to us with your franchise project and we will let you know the steps that need to be taken for search engine success before asking you for a penny. If you want to work with people on your level to improve both your search engine rankings and your tangible, revenue-oriented metrics, we are the team you can turn to. Give us a call at 1-877-819-7654 or click here to get started today. We look forward to hearing from you and helping your franchise reach its fullest potential in the search engine landscape.